Sivananda yoga is based on a holistic series of practices, including breathing exercises and mantras, as well as physical postures, to bring increased energy, vitality, and well-being into our lives on all levels. The specific order of the practices offers the opportunity to challenge oneself physically as well as to dive deep into an internal, meditative focus at the same time. The practice results in a sustained experience of groundedness, peace, inter-connectedness, and joy, and a deeper connection to and knowledge of one’s Self. I’m Yashoda from Brazil and I’m moving to Rotterdam in February with family. We’ve been living in England but have to move to Holland now. 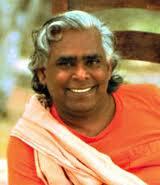 I would like to know about sivananda yoga in Rotterdam. Hi Paula Yashoda – that’s wonderful that you’re moving to the Netherlands soon!